In this article of REST with Spring, we will have an overlook of the RESTful Authentication. We will talk about 4 different ways for the RESTful Authentication along with the pros and cons of each method. REST API’s are becoming back bones of many modern enterprise applications. API are taking huge volumes of data with varying types (think of Netflix or Google REST API’s). It is very important to talk about the security, specifically to secure data. To put it in simple words, we like to have a mechanism in a place which should authenticate the client and server communication in the REST API. Lets quickly have a look at what is RESTful Authentication and what it is not. Authentication: It is the process to ensure that somebody really is who they claim to be. It is like checking your credentials/ ID. Authorization: This process determines who may do what? It other words it check if you have the permissions to perform an action which you are requesting. This gives you a high level of ideas about these two terms (It needs a separate post to talk about them). In this post we will only talk about different options for the RESTful Authentication. OAuth 2.0 (Token in HTTP Header). Base 64 encode is not the strongest one. I transmit the user-name and password (over HTTPS) into the Server. Need to send the user-name and password on every request. Easy for the Man-in-the-middle attack. It handles the cookie on the Server side. REST API session maps a key to user id. It counts key as valid if session exists. Authentication happens by sending the key as a cookie at every request and checking whether the session exists and is valid. This approach violates the basic principle of RESTful API by session management on server side. Our API is not Stateless when we use session on the server side. 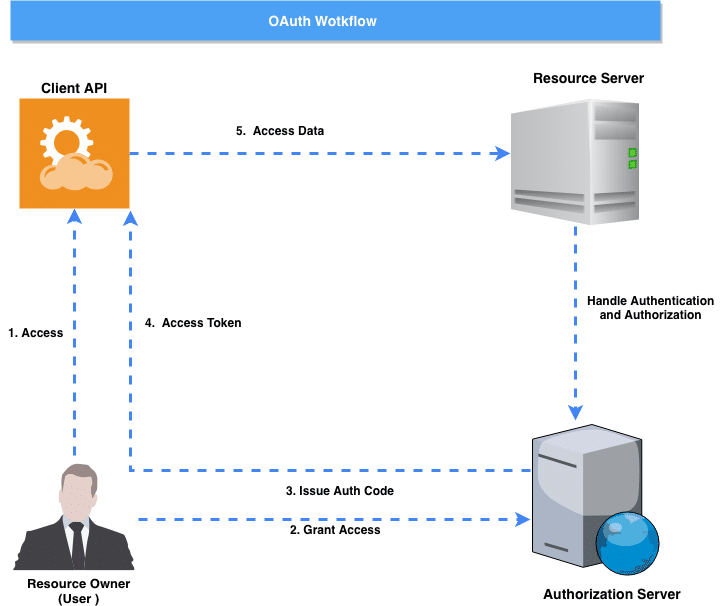 OAuth is becoming a standard for the REST API security. It is an open protocol to allow secure the authorization in a simple and standard method from web, mobile and desktop applications.There are two variations of this framework. I will not talk about the difference between the two as there are several resources with all the details. OAuth 2.0 supersedes the work done on the original protocol.The new protocol simplifies several workflow introduced in the original protocol. Keep in mind It is for both authentication and authorization. This is how the entire OAuth works for the RESTful Authentication. User logs to system. The system request authentication in the form of a token. Handles authentication by authorization server. 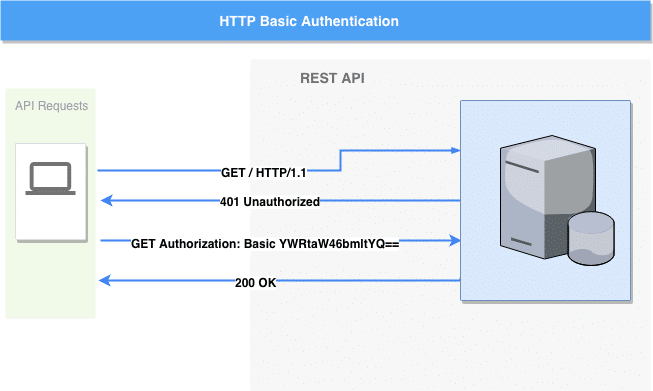 User/ REST API get token on successful authentication. Rest of the communication happens using access token. It is more secure and flexible system for Authentication and Authorization. Allows to control the data handling using different scope. It is not Stateless since it relies on the HTTP transmission details. Developer login to the service and get the API keys. For all request, client pass the API key as part of the request. API validate the key and allow the service if the key is valid. API keys provides full access to the API. There is no scope as highlighted in OAuth section. Wrong use of the API key can remove out all the data. There are several methods for the RESTful Authentication. It depends upon the use case to identify the best approach for the authentication. Our recommendation is to use the OAuth framework which is a powerful, flexible and provides both authorization and authentication.In case you are working on internal application and do not want to set up the entire workflow, probably HTTP basic authentication may work for you. In this article, we talk about the different methods for the RESTful Authentication. We see at each method with its pros and cons.In this next articles we will take a deeper look at each of these methods. We will implement these authentication methods using Spring Boot tutorials.